Home→Can't Stop the Serenity→Our 9th annual Can’t Stop the Serenity shindig is just two months away! ← CSTS 2014 Date and Time are Set! Our 9th annual Can’t Stop the Serenity shindig is just two months away! And we’re excited to be celebrating at DFW’s very first Alamo Drafthouse location in Richardson! 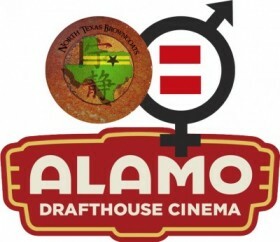 Alamo Drafthouse cinemas are legendary for their zero tolerance phone policy, excellent beer selection, and extremely geek-friendly atmosphere. We had the wonderful opportunity to get to know them at our special bonus screening last November, and we’ve never seen a staff so excited about the show – almost as excited as we were ourselves! Due to individual time constraints there was no one available to coordinate this year’s global sponsorship recruitment. This means that there will be no sponsor packs full of goodies provided to participating cities, so we’ll be relying on your donations more than ever. If you have a lovely piece of swag you’d like to donate for raffle, please let us know at northtexasbrowncoats@gmail.com. Cash donations ahead of the event are also very welcome, they help us put on a better show for everyone to enjoy, and all donors (cash or swag) will be proudly listed on our sponsor page. Tickets and t-shirts are already on sale for this year’s shindig. T-shirts on site will be extremely limited, so be sure and order your custom shirt ahead of time for a one of a kind memento! This year’s event will once again feature screenings of Serenity and Dr. Horrible’s Sing-Along-Blog, as well as a costume contest, evil laugh competition, raffles and auctions. For those who’ve never been before, it’s like a Whedonverse mini-con, so dust off your parasol, Horrible goggles, or vampire fangs for the contest and brush up on your Whedonverse trivia! All proceeds benefit Equality Now – fighting for the human rights of women and girls around the world. Full screening schedule and Can’t Stop the Music (August 24th) lineup TBA shortly.